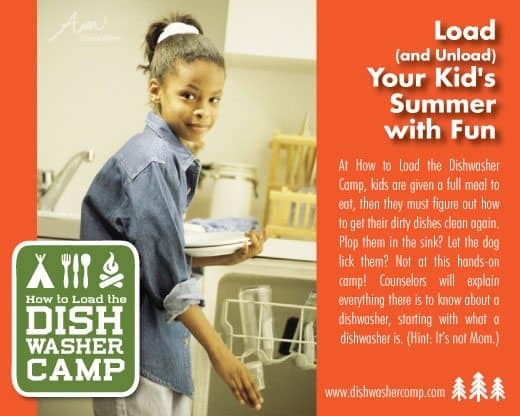 During this intensive week-long camp, kids will learn how to place their socks in the laundry basket and not anywhere else in the house. 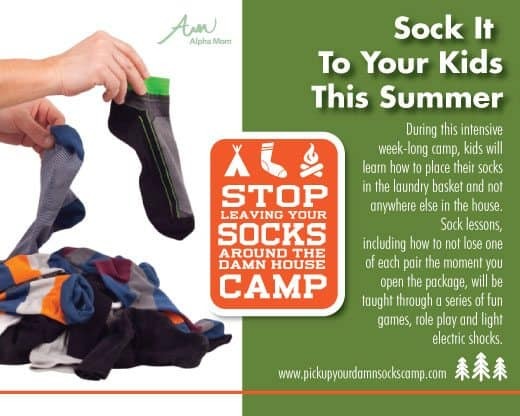 Sock lessons, including how to not lose one of each pair the moment you open the package, will be taught through a series of fun games, role play and light electric shocks. Don’t forget your swimsuit, campers, because at this fun, aquatic camp, you’ll spend hours sitting on the platform of a dunk tank. 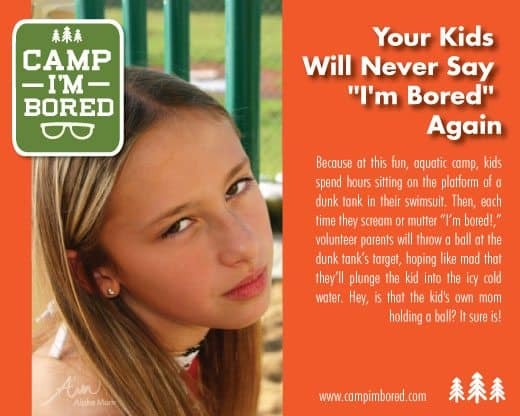 Then, each time you scream or mutter “I’m bored!,” volunteer parents will throw a ball at the dunk tank’s target, hoping like mad that they’ll plunge you into the icy cold water. Hey, is that your own mom holding a ball? It sure is! What are your dream camps? Let us know. I think my husband (who is awesome in all other respects) needs that sock camp. Haha! He can bunk with my husband. The “are you listening to me” camp. Campers will be asked to repeat what they have just been told. 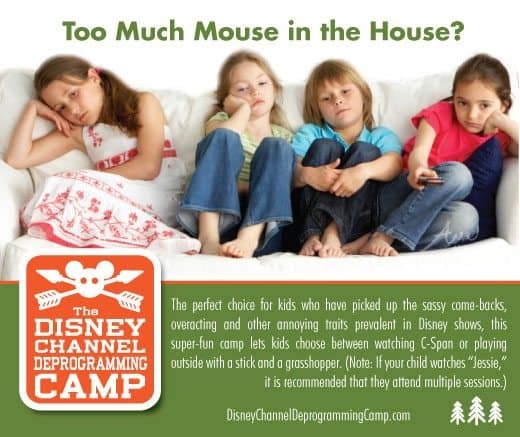 To ease campers into the process, on the first days, counsellors will repeat phrases a minimum of eleventy times, gradually bringing campers to be able to pay attention after only five repetitions at moderately low screaming level. Advanced campers will actually be asked to DO what they have just been told. Eyerolling techniques may be included in the camp courses. 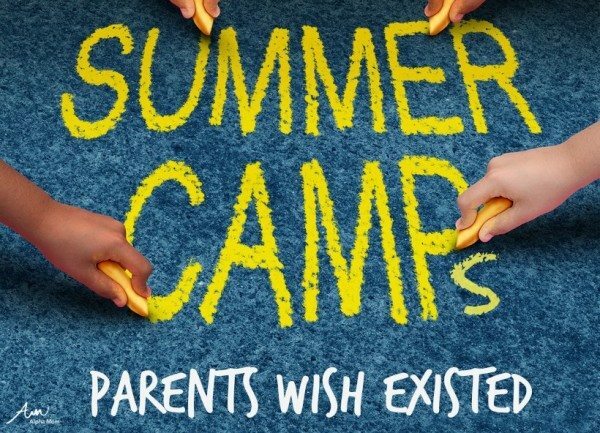 I just want one camp (just one) where I can drop all my kids off. I’m so tired of things being so age specific. All I am doing is driving these days. A bonus would be if they take babies as well! Awwww, thank you, Ms. Yvonne. If they have a “No Phone at the Table” camp I could finally turn off the cell phone jammer during dinner.